As the playoffs draw closer, the association has four games scheduled on Monday. With OKC, Portland, Brooklyn, Utah, and Philly all looking to make moves in their respective conferences, the usual player rotations for these teams should remain intact. It is relatively quiet on the injury front as only Kyle Anderson, Avery Bradley, Joakim Noah, Josh Jackson, T.J. Warren, Tyler Johnson, and C.J. McCollum are all still battling the injury bug. 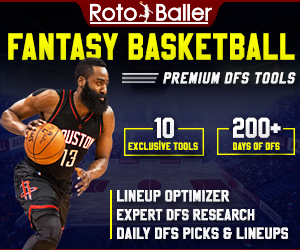 In this article, I will be providing you with my daily fantasy basketball lineup picks for FanDuel on 3/25/19. 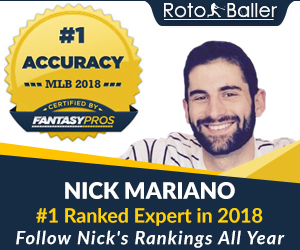 These DFS lineup picks can vary from higher-priced players and elite options to lower-priced players and value picks on FanDuel. 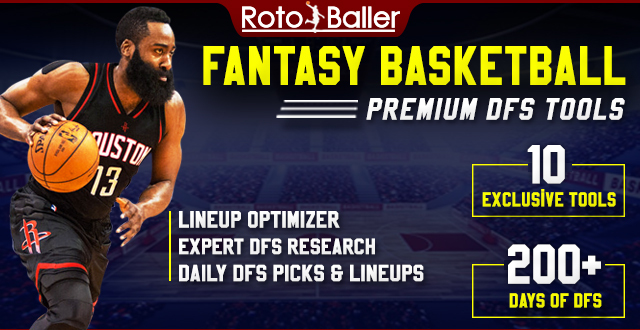 You can also check out today's DraftKings lineup picks. Remember to check your lineups before tipoff for injury updates. Give me a follow on Twitter @Den_Clausen and say hello. Good luck! Westbrook is putting up nearly a triple-double against the Grizzlies, averaging 18.5 points, 10 boards, and 9.5 rebounds to go along with almost four steals in two meetings with Memphis on the year. With each game being critical to OKC's playoff seeding, expect Westbrook to be extra-motivated on Monday night in an attempt to gain ground in the tightly-packed Western Conference. If you aren't able to afford the DFS services of Westbrook, Lillard has shined even more so with the injury to C.J. McCollum, who will be out for the foreseeable future while dealing with a knee ailment. The 28-year-old has enjoyed a sizable increase in numbers, averaging 28.1 points in March in addition to shooting an impressive 42.7 percent from downtown. He struggled against Brooklyn in his first meeting with the club this season, but things will be a lot different on Monday night. Harris has played exceptionally well in the last few weeks, hitting at least 32 fantasy points in five of his previous eight contests. He has also been effective against his former team this season, averaging 23.3 points, 9.3 rebounds, and shooting a healthy 56.5 percent from the field. He is reasonably priced and will likely finish the night hitting his value at the very minimum. Favors will be matched up against a Phoenix team that is allowing 48.97 fantasy points to the four spot on the year. He took a step back from a fantasy perspective by getting extra rest after the Jazz walloped the Bulls, but he should see a full allotment of production in a game that could run closer than expected. Just like Damian Lillard, Nurkic has also benefited significantly from the injury to C.J. McCollum, gaining a 7.1 percentage in usage in his absence. In addition, Brooklyn continues to deal with inefficient defensive play underneath the basket, allowing 61.42 fantasy points to opposing big men on the year, good for second-worst in the league. As a result, look for the 24-year old to get plenty of action against the Nets on Monday night.